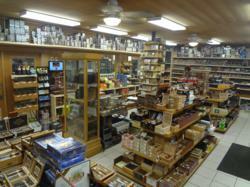 PipesandCigars.com is a leading online distributor of cigars, pipes and pipe tobacco. Their experts have released their list of their top five best places to enjoy the world's finest tobacco products in the warm weather months and how to ensure maximum enjoyment. With warm weather just around the corner, PipesandCigars.com has unveiled their list of the best places to enjoy a cigar and some tips on how to make the most of them. With cold weather blanketing most of the country during the cold winter months, smoking enthusiasts not lucky enough to live near one of a shrinking number of tobacco lounges are short on places to enjoy their cigars. Garages, porches, and the occasional smoking-friendly bachelor pad are about as good as it gets to escape the frigid weather. However, when it gets warm the weather opens up a whole new variety of fantastic places to enjoy the world's best cigars. With warm weather just around the corner, PipesandCigars.com has unveiled their list of the best places to enjoy a cigar and some tips on how to make the most of them. 1. At the Barbecue - There may not be a better time to puff a fine cigar than after a gut-busting meal of hot dogs and hamburgers. Since such affairs are almost always outdoors, smokers can enjoy their hobby without disturbing the non-smoking guests. To ensure minimal impact on others, PipesandCigars.com suggests getting permission first and standing downwind of the main gathering area while smoking. They also suggest selecting a stronger, richer cigar since they tend to pair better with the flavors of meat and beverages typically consumed at a barbecue. Padron cigars and Oliva Serie V cigars make perfect after-barbecue cigars. 2. At the Golf Course - A round of golf with the boys is a great excuse to spend an afternoon outdoors, and is also the perfect excuse to fire up a cigar. Since golfers have lots of space it's hard for anyone else to get offended, and the length of time required for 18 holes far exceeds the length of time required to enjoy a Churchill. PipesandCigars.com suggests a milder cigar since golf is typically played earlier in the day. Romeo y Julieta Reserva Real cigars and Perdomo cigars are both mild smokes perfect for the golf course. PipesandCigars also suggests getting a larger-sized cigar so it will last six to nine holes, and they also recommend bringing extras to share with other less-prepared golfers. 3. Beaches and Parks - Some states are starting to restrict smoking in these beautiful outdoor sanctuaries, but it is still legal and acceptable to light up in most of them. These serene settings offer a prime opportunity to relax with a fine smoke. PipesandCigars.com suggests medium-bodied smokes like Arturo Fuente cigars or Kristoff cigars to provide a flavorful experience without too much effort. They also suggest being very considerate of others who are using these public places and making sure you aren't infringing on their enjoyment of the outdoors. 4. Mowing the Lawn - A chore that almost every homeowner has to endure can become a lot more enjoyable with the addition of a cigar. Cutting the grass requires extended periods of time spent outdoors and away from others, which makes it a perfect opportunity to light up. PipesandCigars.com recommends a spicy and complex cigar to distract the smoker from a mundane task, such as Undercrown cigars or Rocky Patel cigars. They also suggest that anyone offended by the smell should be more worried about being run over by the mower than a burning cigar. 5. While Fishing - Spending the afternoon in a boat on the lake is a great way to enjoy the summertime. Adding a fine cigar to the mix can create an even better experience. With long hours to relax and enjoy, and a big lake separating others from the cigars, the setting couldn't be more ideal. PipesandCigars.com recommends enjoying a large-sized, mild bodied smoke like Macanudo cigars or Vega Fina cigars so as to make it last and not distract from the relaxation. A milder cigar is easier on an empty stomach as well if the smoker is working up an appetite for the catch of the day. About PipesandCigars.com: PipesandCigars.com is an industry-leading online tobacconist dedicated to bringing customers the widest selection of cigars, pipes, pipe tobacco and tobacco accessories. The company features premium cigars from brands like Macanudo cigars, Ashton cigars, Montecristo cigars, Padron cigars, Arturo Fuente cigars, Rocky Patel cigars, Acid cigars and many more. They are the low-cost leader in pipe tobacco on brands like GL Pease, Sam Gawith, McClelland, Captian Black, Borkum Riff and many more. They feature thousands of pipes, ranging from inexpensive Corn Cobs and Dr. Grabow pipes all the way to the premium brands like Dunhill, Peterson and other fine hand-carved pipes.